What’s Batman’s problem? He’s always so dark and brooding and he wears nothing but black bodysuits all the time. It’s like he’s trying to show the world that he’s nothing more than a Negative Nelly. We think he needs to take a note from Robin’s book. He might be Batman’s sidekick, but he has a surprisingly more positive outlook on the whole crime fighting game. He doesn’t spend his nights with a scowl on his face as he foils super villain plans. He does it with gusto! He doesn’t wear a gloomy black suit. Instead, he wears a red, green and yellow outfit that really pops. We think he’s got a much better attitude when it comes to being a superhero! If you want to take a positive attitude to being a hero, then maybe it’s time that you dressed up like Robin. 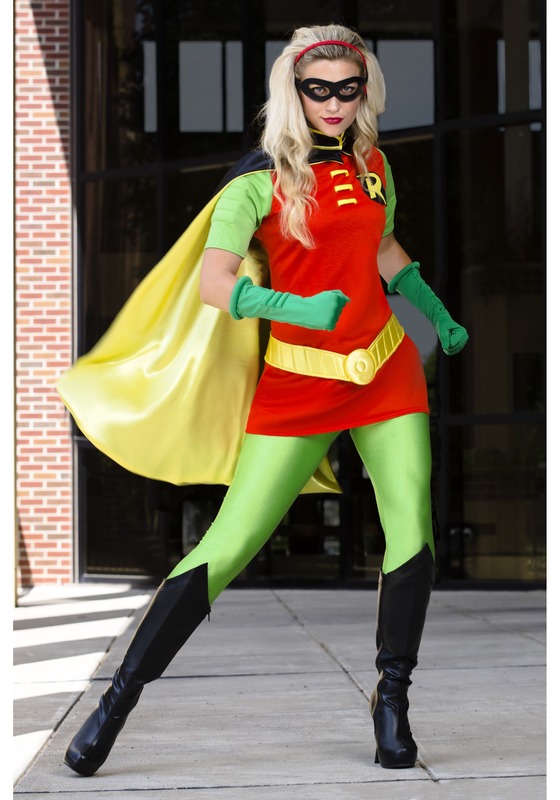 With this officially licensed Robin costume for women, you can achieve the look of the Boy Wonder. The costume has with a red top and green accents to give you a vibrant look for fighting crime. It even comes with a cape that looks like the one he wears in the DC comics. A bright “R” symbol also appears on the front, to make sure the bad guys know just who took them down. Once you have it on, you’ll be able to help that grumpy Batman with his crime fighting and with his glum attitude. Maybe you can cheer him up and finally wake him up from the funk he’s been in all this time! It was colorful and well made and very comfortable. The cape was especially fun! pretty neat that Grandma joined in. Well made costume fits well and easy to move in. The tights do fit kind of loose but overall nice costume and people loved it. Would recommend this costume to any adult to wear and to have fun. This costume was fantastic! The colors, shirt, pants, mask, belt, and cape were great! They fit just right. No tight feelings and very flexible and smooth! The one thing I would have to say is that the cape did make me feel itchy in the neck, probably because of the stitching (nothing too hard to fix). But overall, it is a really great costume for cosplay or Halloween! Thank you! It made me soooooo happy! 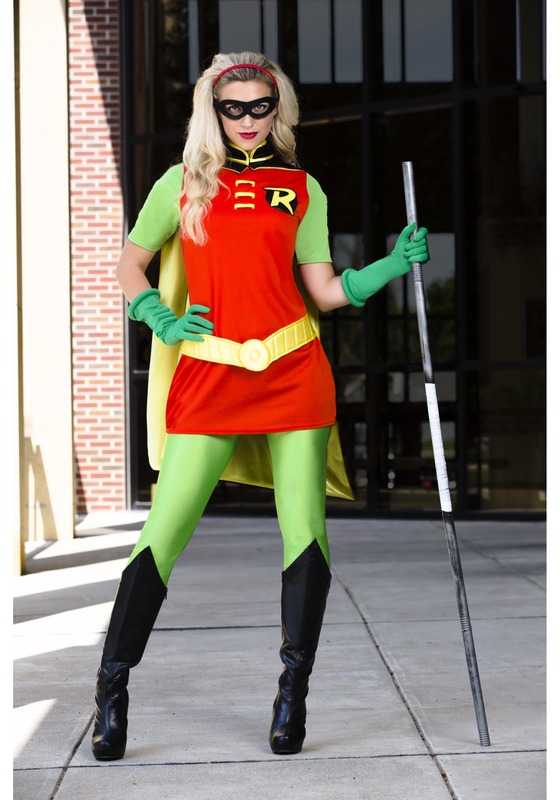 If you are a huge Robin fan, this costume will be perfect for you!